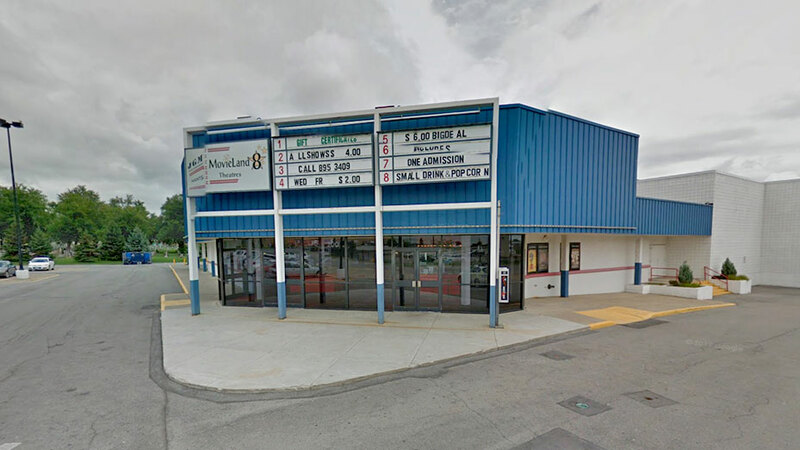 According to their website, the Movieland 8 theaters in Cheektowaga is closing as of Monday May 11. It wasn’t the best place in the area to see a movie: the projection was often inadequate and the auditoriums, built by General Cinema in the 1970s, were run down. I would assume that the cost of replacing film projectors that were probably decades old with expensive new digital machines was probably the final straw. (Last summer the theater ran an Indiegogo campaign to raise $185,000 for five projectors; it only received pledges of $2,015.) Digital projection isn’t even a choice: most if not all of the studios no longer offer 35 mm prints, which has put many independent movie theaters out of business. Even finding out what movies the Movieland was showing could be difficult: they seemed not to be listed on Fandango, and even their own website wasn’t always updated. My email requests to be added to their schedule list went unanswered. But as a second run house it was cheap: the most you would pay for a movie was $4; for $7 you also got popcorn and a soft drink along with your ticket. On Wednesdays and Fridays admission was only $2, and not many theaters have their bargain night on one of the busiest nights of the week. It gave the regular moviegoer a chance to catch up on those movies that you didn’t want to pay $10 for (which, let’s face it, is most all of them). I often found myself there on free nights when I wanted to see some recent films that had passed me by, knowing that I’ll never have the patience to watch them on cable. There always seemed to be a fair number of patrons there, certainly more than most first run theaters on weeknights. Maybe it’s a function of my age, having grown up at a time when each city neighborhood had its own local movie house (what Variety called “nabes”), but I don’t have a problem with theaters that aren’t state of the art. Comfort is certainly nice, especially when it comes to seating. But watching scratchy 35 mm prints with visible cue marks seems preferable to pristine new films that have had any “imperfections” digitally dissolved. It does to me, anyway. This leaves Erie County with only the McKinley 8 in Hamburg as a second-run alternative; there’s also the Four Seasons if you want to make the run up to Niagara Falls. Maybe some chain with pockets deep enough to bring the place into the 21st century will snap up the Movieland. It seems to me that a family ought to be able to go to a movie together without paying a price close to three figures.